The book doesn’t get into the “how”—it deals with more of the “why.” That is, for the most part there isn’t tutorial and instruction on using XHTML and CSS. There is a lot of information about choosing a layout, colors, type and accents to help you create an effective and intriguing site. 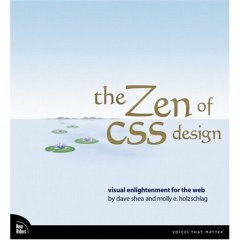 It’s not a book for the beginner; you really need to already be familiar with XHTML and CSS to get the full benefit of it.